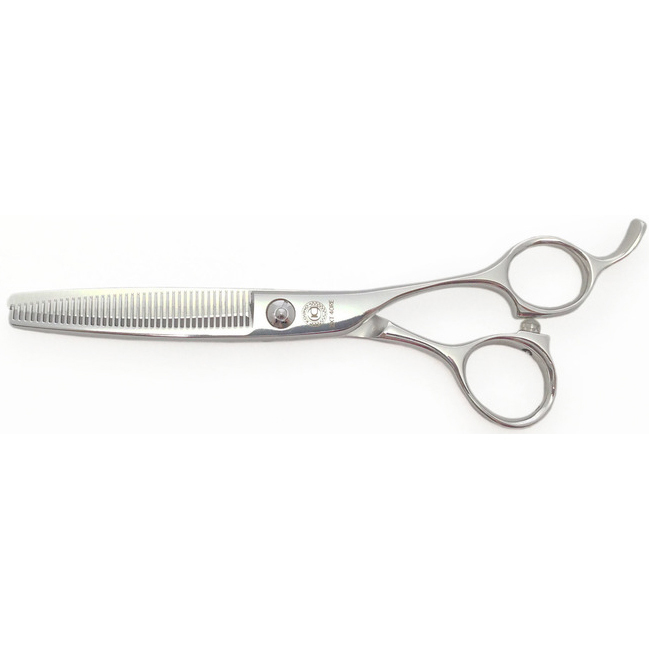 A 6" 28-tooth scissor with offset ergonomic handle and a short and wide finger rest for more flexible handling. Same handle as Kouho's very popular X model shear. Its double-step tooth design makes it good for blending. High-tech stainless steel. Unique design and brilliant craftsmanship make Kouho a favorite scissor of ours. 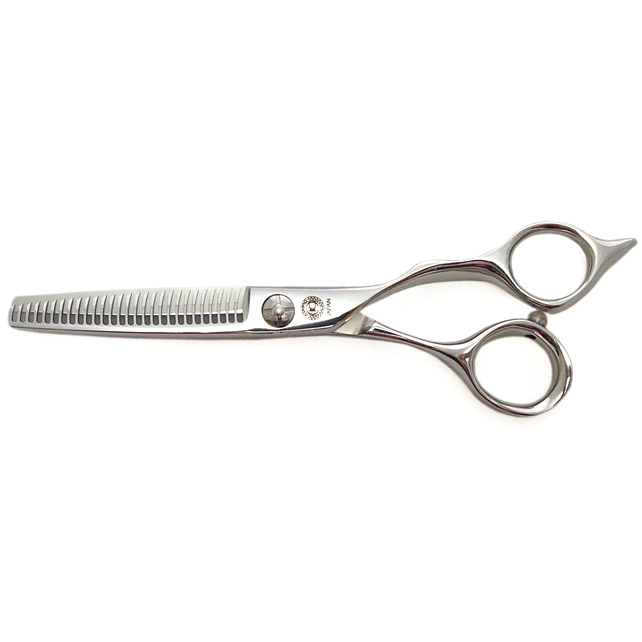 This 40-tooth 6" scissor with offset handle has a fixed finger-rest and is good for blending. High-tech stainless steel. Unique design and brilliant craftsmanship make Kouho a favorite scissor of ours.